The One Stop Body Shock! Join a barbell class at Club USA to target all of your muscle groups, and experience an ultimate cutting-edge, strength-training workout. Shred, tone, and strengthen your body in a fun, high-energy environment. Club USA’s barbell strength class combines free weights, bands, and balls with the optimal blend of strength-conditioning exercises to emphasize a vast range of muscle groups. Barbell workouts condition the whole body, and achieve maximum fat-burning and muscular endurance. Our pure muscle and pure muscle plus classes are designed to build and tone your muscles and improve your overall body strength. To promote cardiovascular endurance, the exercises are on-going with few rest periods during the class. The standard barbell class most often utilizes the common two-hand barbells (a bar with weight plates attached to both sides) at relatively light weights. In addition, special classes may also utilize elastic resistance bands, weight plates, TRX, and even STEP equipment to create a unique experience that goes beyond the typical barbell workouts. Participants combine continuous cardiovascular activity with light-to-moderate weight training. 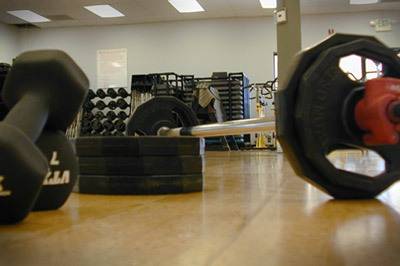 The weight training is performed using a standard two-hand barbell with weight plates attached to both sides. An instructor guides class members through several consecutive exercises by providing verbal prompts about the exercise that is to be performed and the pace that should be maintained. A barbell strength class feature a few breaks in order to maintain an elevated heart rate and maximize the cardio benefits of the class. Club USA’s named classes Pure Muscle Pump, Sports Bootcamp, Dance Sculpt, or Booty Blast are all taught by nationally recognized, certified associations like AFAA, ACE or ACSM, just to name a few. The Instructors take great pride in their classes and come prepared, daily, focused on the participants, striving to teach the best barbell class possible in hopes that everyone who leaves feels great about their accomplishments.